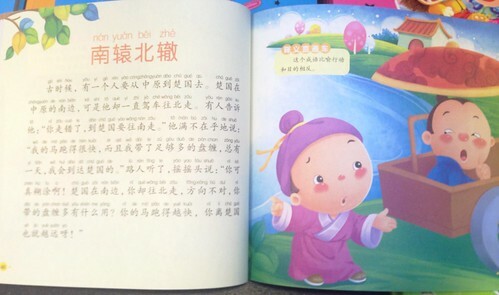 I remember the first time I had the great idea to use Chinese children’s books as study material. I had been in China for about a year, and having exhausted my old textbook, I was starved for more interesting material. I came upon a book store, and, realizing how cheap books in China were, had the revelation that I should start learning from Chinese children’s books. It was so perfect, and so obvious… why hadn’t I done this earlier?! Then reality came crashing in. 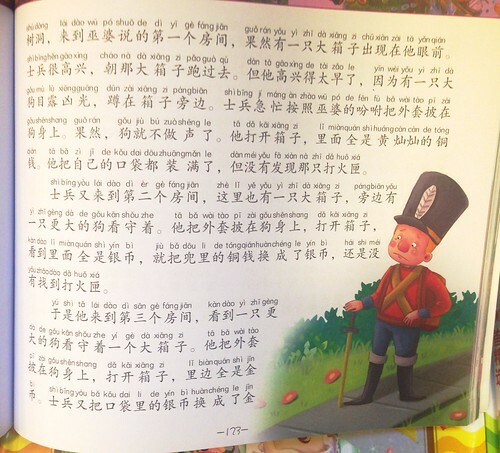 There was a very good reason why I everyone wasn’t already doing it already: Chinese children’s books are meant for native speaker Chinese kids, and as such, they generally don’t make good material for foreign language learners. But why?? Before I talk about my conclusions as to why, let me just share a few examples from my local book store. This is no scientific survey, but I did my best to select from a number of different publishers and different types of children’s books. The pages I photographed are more or less random. I’m adding a few comments about the suitability of these stories for a high A2 (elementary) or low B1 (intermediate) learner. – Note the failure to break the characters into words, and the pinyin over every character… both annoying for a learner of Chinese. – The tone is a more written, formal style than most elementary learners are going to be ready for. – The tone is less formal here, and the words used feel more oriented to kids, but a lot of the words are the type that native speaker kids could understand in the context of a story but would not use themselves; these are the words that would really trip up a lot of foreign language learners. – You can see that on this page the character 天 is being taught, and yet there are much, much more difficult characters on this page. This highlights the fact that the book is meant to be read to the child; the child is not meant to read it. – This is my favorite of the bunch; I actually bought this book for my daughter as psychological prep before she started kindergarten. – The tone is informal, and this is the kind of language that Chinese parents would expect their children to fully comprehend, in context. – No pinyin here, and this one is definitely higher difficulty level. – Difficulty-wise, a high B1 (approaching upper intermediate) learner could probably tackle this, if sufficiently motivated. 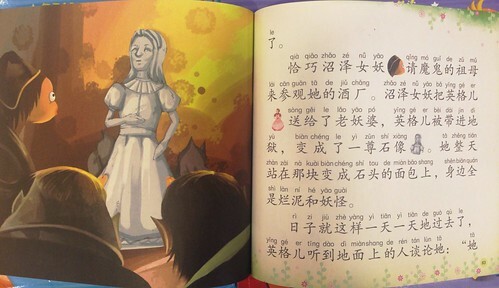 Most Chinese children’s books are too hard for Chinese learners. It’ll be a frustrating slog to read many books (especially those chosen at random), and all the pinyin is likely to be less helpful than you think. There are some good ones suitable for foreign learners out there, but those are the exception rather than the rule. Randomly choosing children’s books for reading practice is not recommended. I’ve thought about this issue for quite some time already, and my conclusion is that when the average Chinese parent reads a book to her child, the goal is more education-oriented than pleasure-oriented. I know a lot of American parents that work very hard to instill a love of reading in their children, so enjoyment is extremely important. Chinese parents, however, are under a mountain of pressure to get their kids into the best schools in an environment of intense competition. Of course they hope their children like to read, but it’s kind of beside the point. The real goal is to help their children pick up characters and vocabulary as quickly as possible. 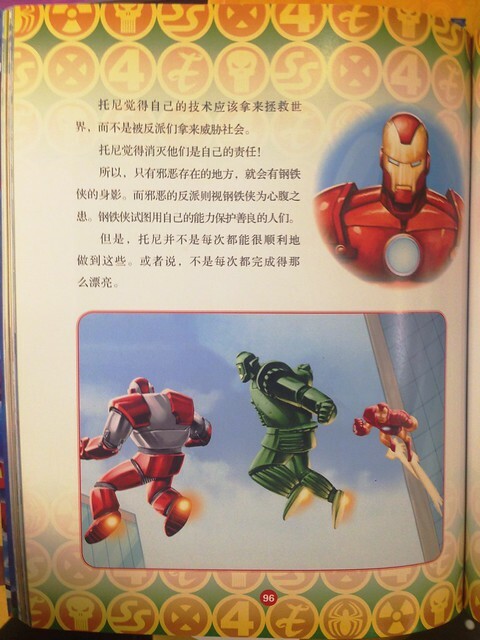 If the goal is acquiring characters and vocabulary, it makes sense that the language introduced in these Chinese children’s books is going to be more advanced than one would expect. The children are native speakers, already fluent in Mandarin, and the story provides a clear context. Therefore, why not drop a few extra difficult words and characters on every page? It’s for the kids’ own good! There is hope for learners that really want something to read. (Little disclaimer: the following is going to be partly self-promotional, because this is one of the major problems in the Chinese learning industry that I’ve devoted my career to solving.) 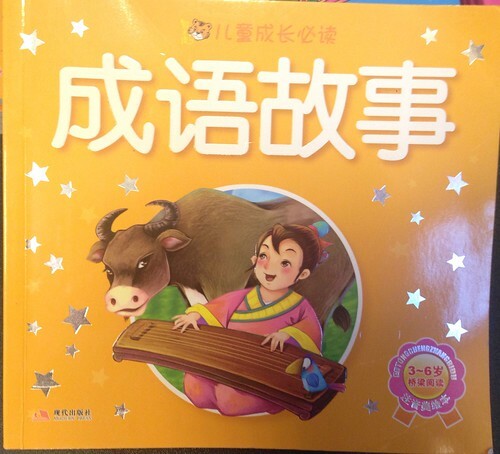 If there is enough interest among my readership, I’ll consider compiling a list of Chinese books by Chinese publishers suitable for learners (kind of like the kindergarten book above). For now, I’ll focus on several resources that are available to those outside of China. 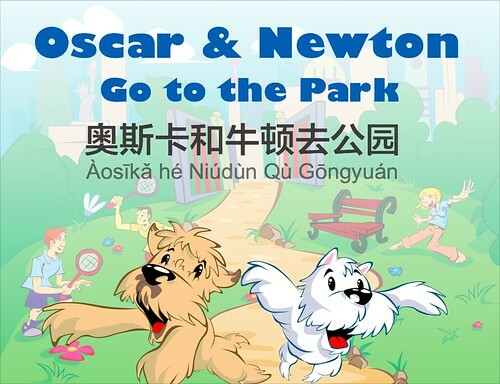 Oscar & Newton Go to the Park is a print bilingual picture book by AllSet Learning, adapted from its original app form. The language is practical and informal, perfect for A2 adult learners as well as children. It’s now available on Amazon. 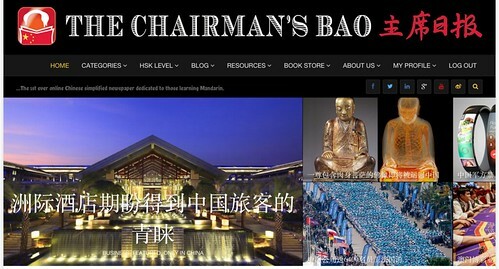 The Chairman’s Bao is a website that takes news stories and simplifies them into simpler, shorter articles. See my longer review here. This is great for intermediate learners that want to start working toward reading actual news. Includes audio. Mandarin Companion creates graded readers (short novels without pinyin or translation) meant for learners of a high elementary or low intermediate level. We’ve got five Level 1 books out, and feedback is great. Our next two Level 2 books are coming out any day now. Books are currently available on the international Amazon website, but not the Chinese one. 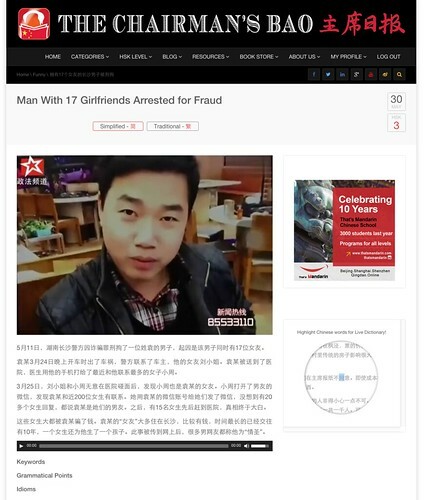 Chinese Breeze is the original Chinese graded reader brand. It has cheaper books and more titles out, at levels ranging from high elementary to intermediate. If you’re going for quantity, look here. Books are currently available on both the international Amazon website, and the Chinese one. If you have any other reading material to add, please leave a comment and share! 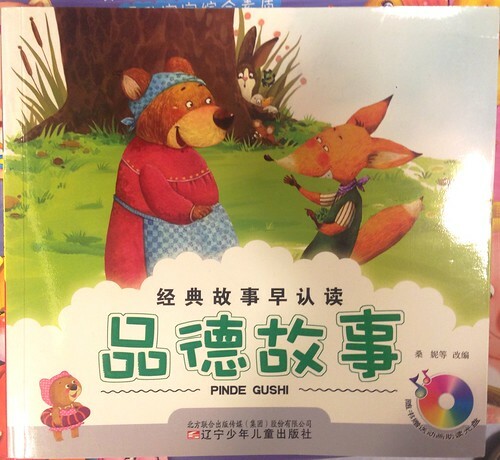 In my humble opinion, children’s books in mainland China are not written for kids but for adults to teach their kids. The best kids books I found for my girls were always written by foreigners and translated into Chinese, mostly from Japanese. 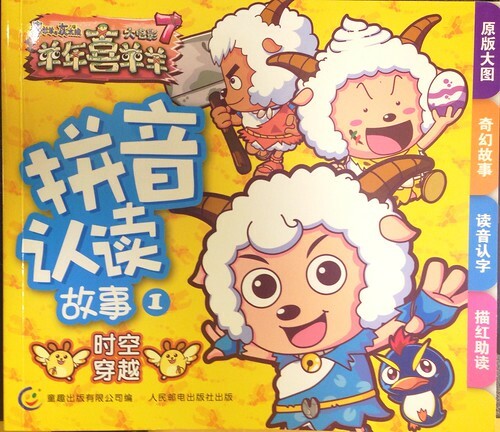 One series I like a lot for beginning readers (and even used with students of Chinese here in California) is the 小鼠第 series, which has a lot of simple vocabulary, simple grammar, and lots of repetition. Micah, I totally agree! That’s kind of what I was trying to say, in different words. I’ll check out that series, but are you sure it’s called “小鼠第”? My searches don’t turn up anything for that exact title. Please share a link, if you have one! 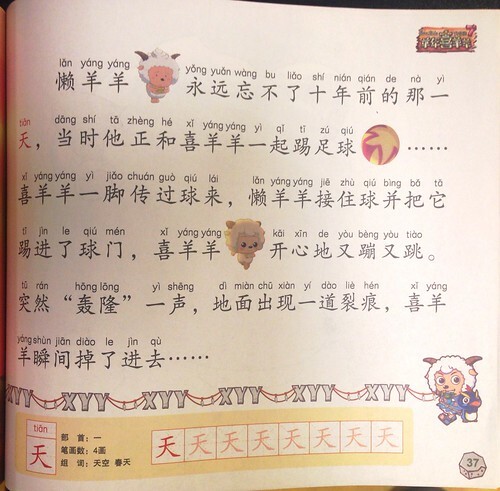 My teacher recommended a series 中文天天读(FLTRP Graded Readers — Reading China). Books are available on both Amazon and Jingdong. But I never tried by myself. I’ve purchased some of the FLTRP Graded Readers. Pros: multiple levels. Grammar sections to pick up on important grammar structures. CDs so you can read along with a narration. Cons (IMO): pinyin along with the Chinese text. I consider it a bit of a crutch and distraction. At higher levels I believe pinyin in the text is phased out. One question, how can I upload my avatar? I actually kind of liked having pinyin over characters when I was learning to read. I used to practice reading the text out loud several times to slowly memorize the pronunciation, then I would focus on studying the individual characters in more depth. Now I really enjoy those bilingual English-Chinese readers like the Oscar and Newton example above, which have each language side by side without pinyin. I found a few fairly advanced readers like this at a bookstore in Nanjing once and couldn’t help but bring several of them home. Also, Chairman’s Bao is awesome! The ability to define individual words with a click and to easily replay the audio in short segments is fantastic. I’ve found that the site is unusable on my home internet connection though, which is the only reason I don’t use it daily. I just ordered the two copies of you newest children’s story book. One for me and one for my niece 🙂 and I am currently reading the Monkey’s Paw!! Great job as always!!! When I was looking for Chinese children’s books to read to my son I found it quite difficult to find decent quality stuff. I was mostly concerned with the quality of the pictures, the ratio of pictures to words, a decent story and for Chinese language books I wanted them to be written by Chinese writers (as opposed to translated). There were some good ones, but nothing that could get close bridging the gap between one character flash cards and an actual book. 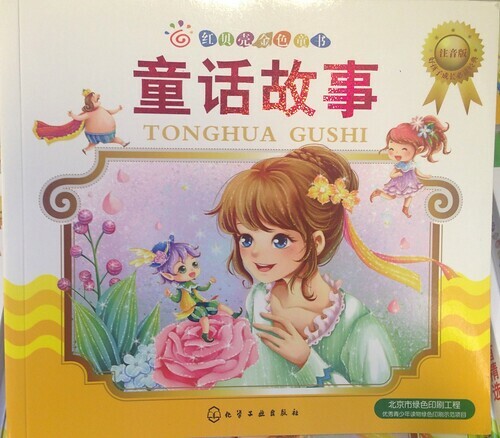 I think whole Chinese Children’s book genre is in pretty poor shape frankly, at least until children get into second or third grade and start reading books without pictures. I got a great deal out of reading childrens’ books in Taiwan. They might have been a bit easier than those, and they were definitely more interesting. No pinyin either, thanks to TW never having switched away from zhuyin! Some of the books I read were of the “all the crazy things you didn’t know about the pyramids, atlantis or the bermuda triangle” variety, but I also read some moral tales and some 3 kingdoms era stories. It definitely led to soaking up a decent amount of cultural background I wasn’t getting from the news or from materials aimed at foreigners. Actually ,my English students got the same kinds of benefits from reading easier versions of western classics such as The Monkey’s Paw or Pocahontas. I don’t have a super firm grasp on at what point I was at “a B1 level” or whatever European standard since nobody used that in Taiwan, but I totally agree that you don’t want to read stuff that’s too hard for you. And if you think about it, a native 7 or 8 year-old already knows a ton. 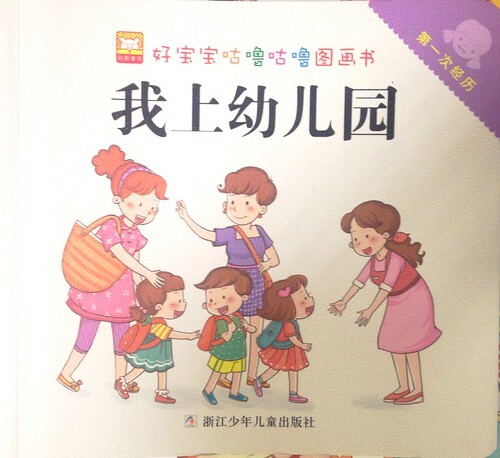 Books aimed at kindergartners weren’t too tough for me as a lower intermediate learner though. I encountered a heck of a lot of animals I didn’t know but there were pictures and zhuyin annotations for the pronunciation. 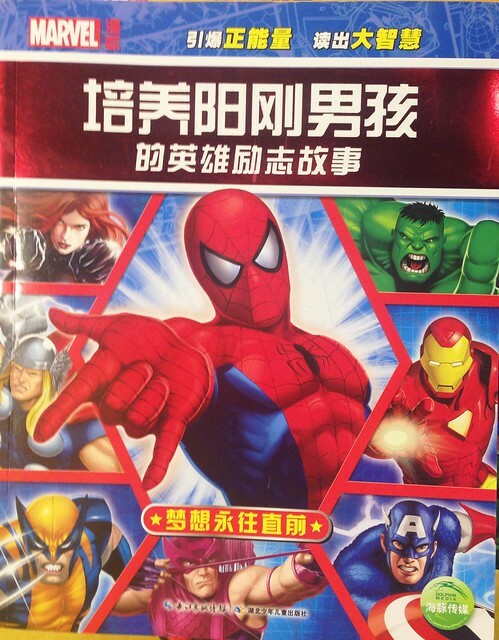 The main problem is that those stories are boring compared to the books or comic books popular with older kids. It definitely gets more fun as you get to where you can understand more. The holy grail for lower level students would be something that’s easy enough to get through without a dictionary, very Chinese in nature and still interesting! I am new to this website. I am not sure what ” break the characters into words” means… Thank you. 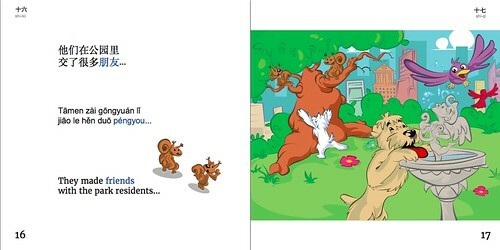 My friend used translated picture books to teacher her kid to read.